Before I start this topic, do you aware what the different between K8 image and K9 Image? In short, K stand for Crypto, K8 is DES (Base Encryption) and K9 is 3DES (Stronger Encryption). In term of ordering process, K9 require more process on documentation and government approval, usually distributor or re-seller will not stock this version. While K8 not require such process, distributor or re-seller usually stock this version. 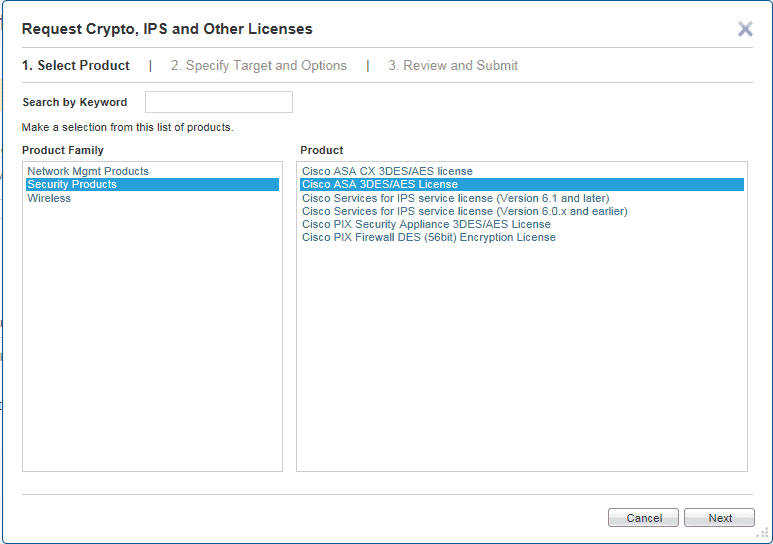 A lot people concern the step to convert K8 to K9 after they purchase Cisco ASA K8 version firewall. 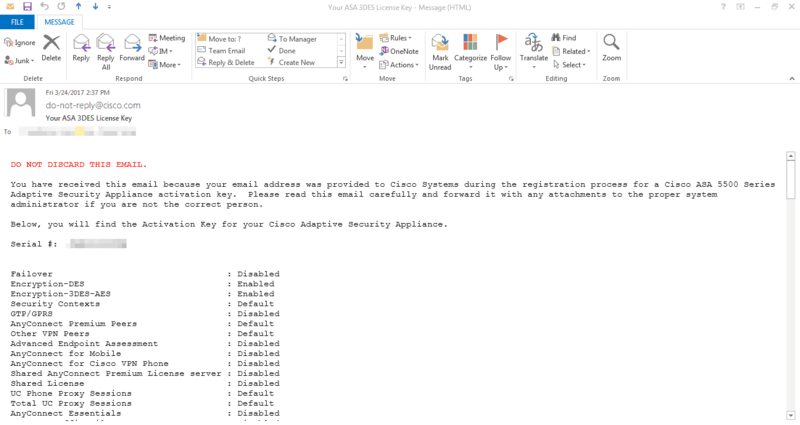 You just need a license key and insert into your ASA firewall. Just few step. 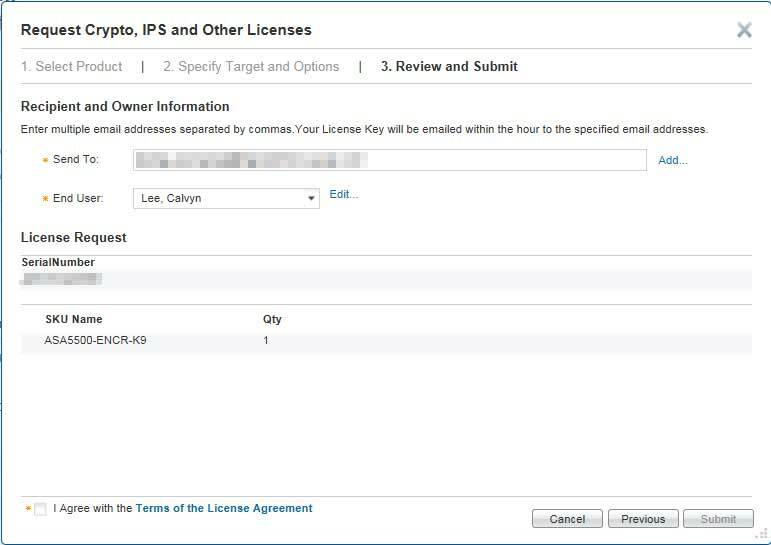 After putting serial number, you will prompt the detail and you may add additional email to receive this license key. Remember to agree the term and condition and click submit. 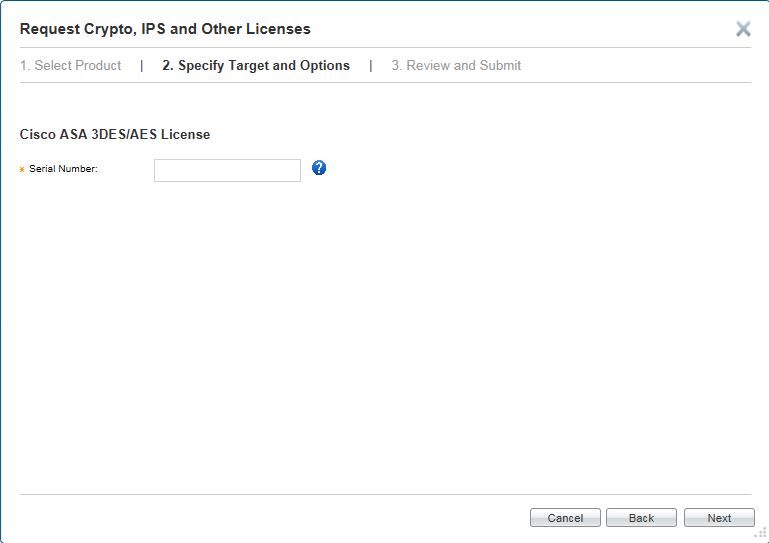 Summary will appear, showing you the license request had send to your email already. 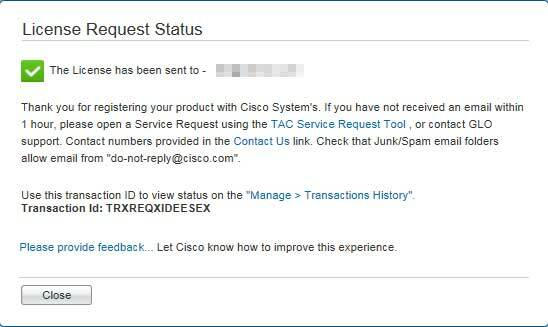 Next, check your email, the licence key is send together with the step by step how to activate Cisco ASA Firewall K8 to K9. Step 1. From the command line interface (CLI), enter configuration mode using the “conf t” command. Step 2. Type the “activation-key” command, and then, when prompted, enter the new activation key listed above. Step 3. 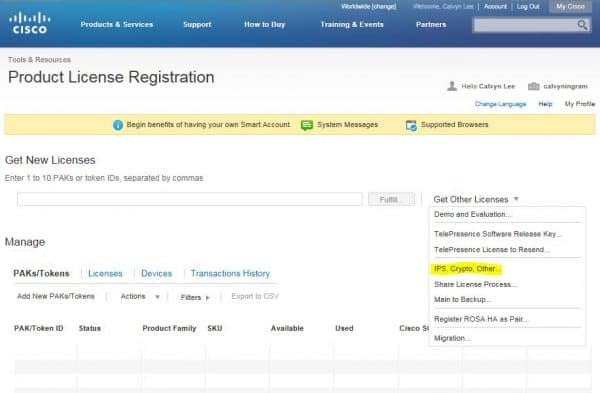 For some new license settings to take effect a system reboot may be required. Write Mem and Reload the device. As per my experience. The Serial Number stated in the physical machine might now same as the serial number within the system. Use show version and get the right serial, and generate again the activation key if you fail to activate it.